Snapchat is looking to raise up to $3 billion through the offering of Class A common stock shares, according to the Form S filed with the U.S. Securities and Exchange Commission on February 2. 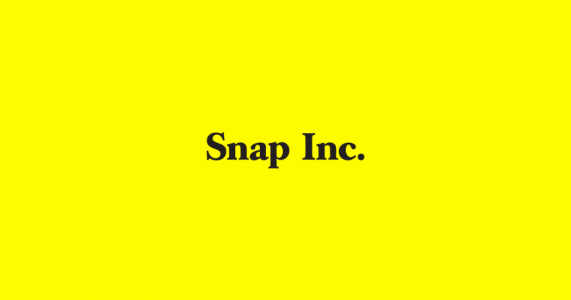 The company’s shares will be listed on the New York Stock Exchange under the symbol “SNAP.” Snap, the parent company of the fast-growing social network Snapchat, filed its request in a public document of its initial public offering (IPO). Snap is a camera company. Its flagship product is Snapchat, an image messaging and multimedia mobile application that allows people to communicate through short videos and images. Each of those short videos or images is called a Snap. On average, 158 million people use Snapchat daily, and more than 2.5 billion Snaps are created every day. Snap generates substantially all of its revenue from advertising. “We help our advertising partners generate a return on their investment by creating engaging advertising products that reach our large and desirable audience,” according to the filing. For the year ended December 31, 2016, the company reported revenue of $404.5 million, an increase from $58.7 million for the year ended December 31, 2015. The global average revenue per user was $1.05, compared to $0.31 for in 2015. The average revenue per user in North America was $2.15, versus $0.65 for the same period in 2015. The company posted a loss of $514.6 million, compared to a loss of $372.9 million for the year ended December 31, 2015. Adjusted EBITDA was a loss of $459.4 million, versus a loss of $292.9 million for the year ended December 31, 2015. Snap said that it views daily active users (DAU) as a critical measure of its user engagement. The company had 158 million DAU on average in the quarter ended December 31, 2016. The company said that mobile advertising is the fastest growing segment. Worldwide advertising spend is expected to grow from $652 billion last year to $767 billion in 2020. The mobile advertising is projected to grow nearly 3x from $66 billion in 2016 to $196 billion in 2020. “We believe that one of the major factors driving this growth is the shift of people’s attention from their televisions to their mobile phones. This trend is particularly pronounced among the younger demographic, where our Daily Active Users tend to be concentrated,” according to the company. People between the ages of 18 and 24 spent 35% less time watching traditional television in an average month during the second quarter of 2016 compared to the second quarter of 2010, according to research firm Nielsen.